IMAX tasked Way To Blue (WTB) with creating a digital campaign that celebrated the release of Beauty and the Beast. Their main objective was to increase brand awareness around showing the title and making it a consumers’ first and only choice to see this stunning re-make. Secondary objectives included encouraging user participation in a digital-led initiative, as well as driving social engagement and brand loyalty. Given these ambitions, an online competition was the perfect mechanic to drive this large scale awareness in a very tight timeframe. In 3 weeks, WTB designed and built IMAX’s first UK custom digital mobile optimised microsite that was driven by a flock to unlock initiative. As users landed on the site, they were captivated by an animated real-time rose video and fifteen red petals, just waiting to be unlocked. 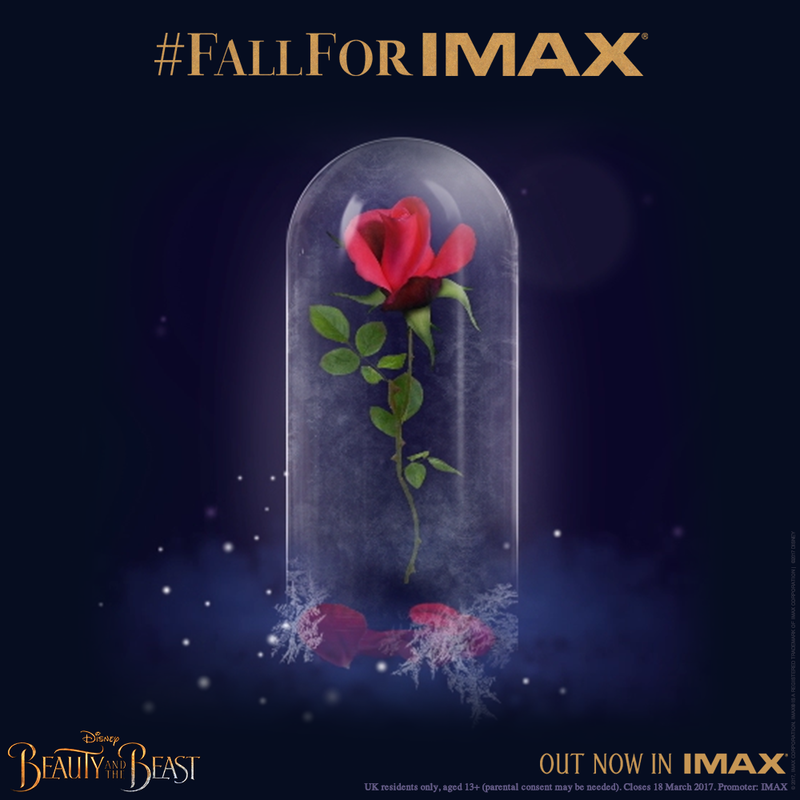 Users were encouraged to tweet using the hashtag #FallForIMAX to meet fifteen different thresholds that the red petals represented. Each petal that was unlocked triggered a petal to fall in a stunning and magical animation. As each red petal was unlocked, the user who was lucky to enough to have tweeted the tweet that triggered the falling petal, won exclusive prizes. Prizes ranged from limited edition Beauty and The Beast merchandise, including a Tea Set that featured within the movie (of which there were only 250 available), tickets to see the film in IMAX and the ultimate prize of a years pass to IMAX cinemas for two. 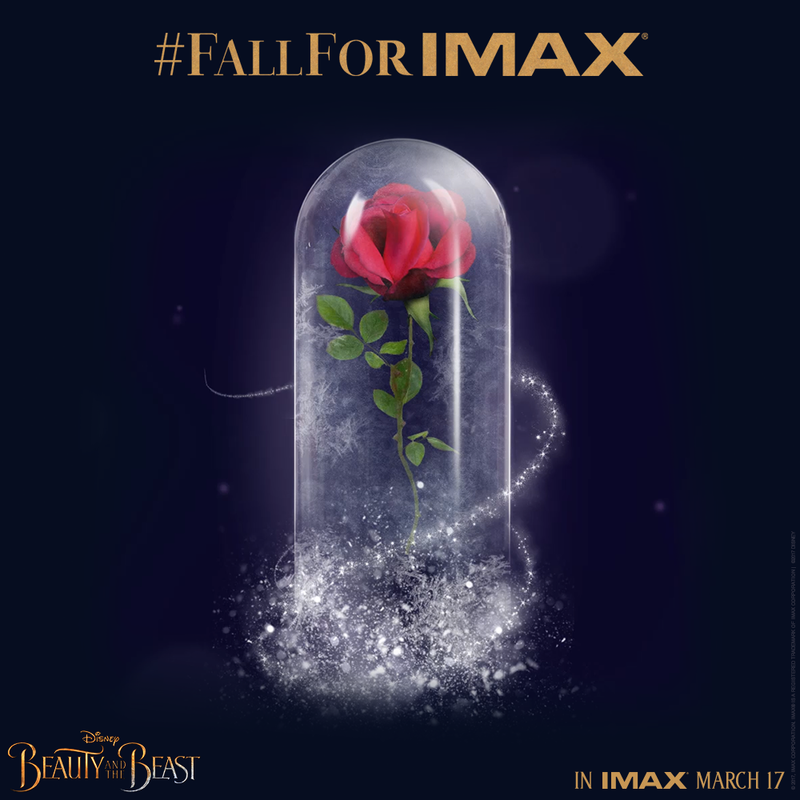 As the campaign concluded and the last petal fell, a magical animation took over the site and brought up a lightbox with unseen Beauty and the Beast footage exclusive to IMAX fans. The campaign spanned 3 days and generated nearly 20,000 tweets using the branded hashtag. Activity was supported by beautiful animated organic and paid creative content on Twitter that replicated the site and made sure users didn’t miss a thing! A dedicated media campaign was executed to drive engagement with promoted tweets, encouraging the use of the hashtag #FallforIMAX to increase engagement in the competition as well as brand loyalty. The campaign surpassed all benchmarks with over 3.3 million impressions, over 88,711 engagements including 19,816 hashtag uses. Brand awareness generated by the competition was ultimately the biggest achievement. In the 3 days prior to the activity, the @IMAX handle was used 4,002 times by 3,776 users. During the 3 day campaign, @IMAX was used 28,534 (612% increase) times by 18,279 (384% increase) different users. The real time competition element and appeal of the campaign drove engagement as users flocked towards meeting each next threshold and to get their hands on extremely exclusive prizes. Fans responded extremely positively to the activity with a 99.9% positive sentiment. 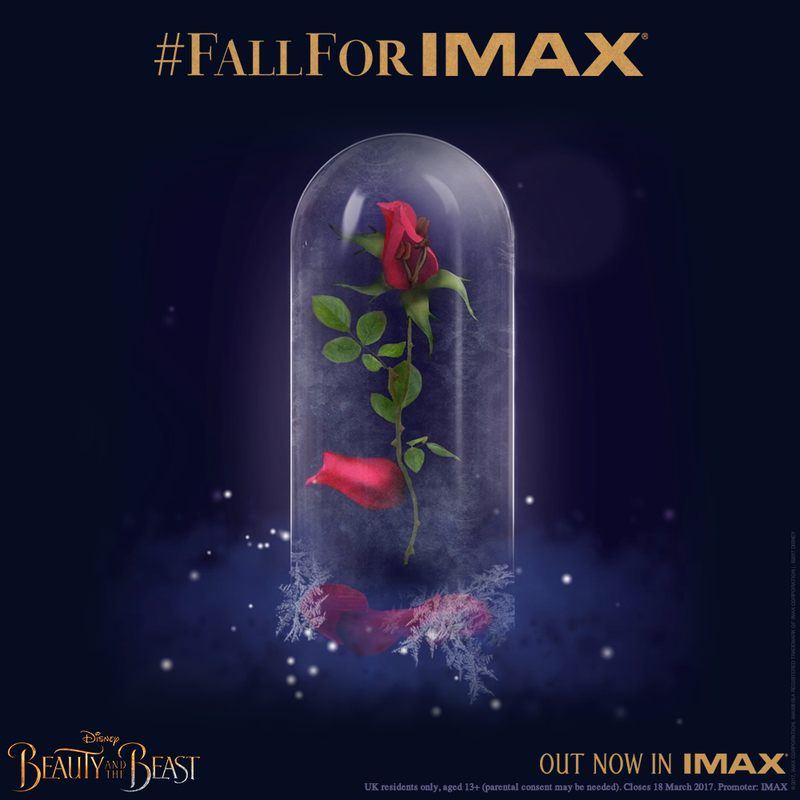 Most tweeted using #FallForIMAX, while others commented on how great and appealing the prizes were, and expressed how they couldn’t wait to see Beauty and the Beast in IMAX. Many fans even congratulated other winners, with a spirit of support and community evident among those who participated in the activation. WHAT WAS THE STRATEGY TO ACHIEVING THESE OBJECTIVES? This campaign very much built around using this online competition as a mechanic to drive significant awareness of the IMAX experience. The online competition incorporated key themes of the Beauty and the Beast film, the IMAX experience as well as reaching a broad audience with a range of demographics in a very short time span. In the 3 days prior to the activity, the @IMAX handle was used 4,002 times by 3,776 users. During the 3 day campaign, @IMAX was used 28,534 (612% increase) times by 18,279 (384% increase) different users. Here's a little video we made to show just how proud of this project we are! Uploaded by Wayto Blue on 2018-01-26. 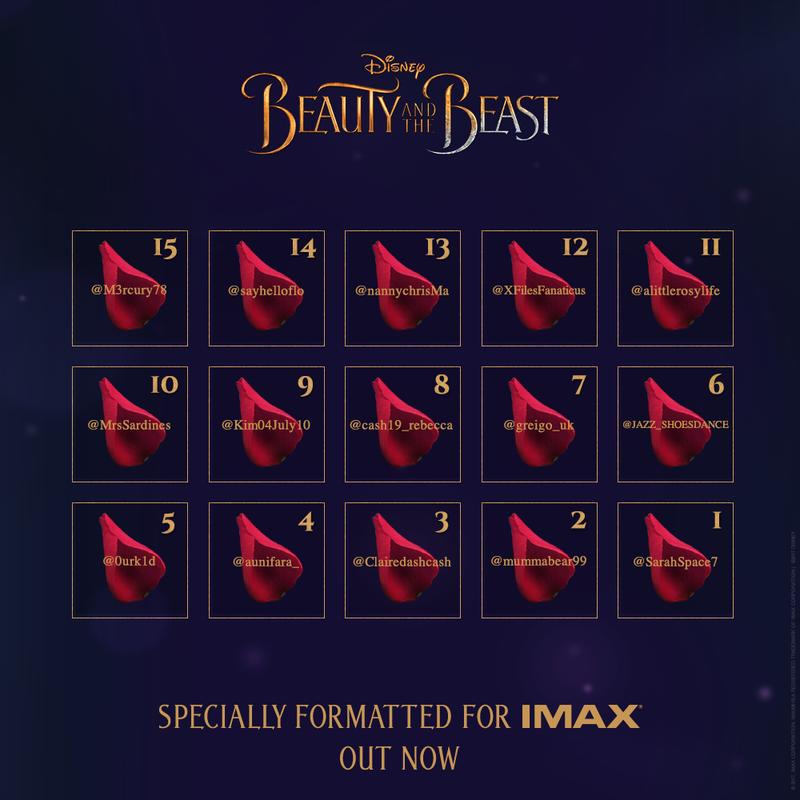 "Beauty and the Beast was a key release for IMAX in 2017 and with a different target demographic versus most of our other priority titles, it was imperative for us to raise awareness and excitement pre-launch amongst the right audience online in an innovative way. The #FallForIMAX competition certainly did that: it used an innovative and engaging mechanic and we saw a significant increase in both title and wider brand awareness on Twitter as a result of this initiative. The competition and campaign was great and very successful and everyone at IMAX was pleased with and proud of the result."